Geraint Jones joins an illustrious list of cricketers this week, becoming only the tenth cricketer in Kent County Cricket Club’s history to make 100 consecutive County Championship appearances. Jones has been named in the squad for Kent’s final homefixture of the 2012 season, against Derbyshire at the St Lawrence Ground, during which he will reach this impressive milestone. Jones is the first Kent player to reach three figures since Ray Dovey, a left-handed bat and off-spinner from Tunbridge Wells, who reached the landmark at Headingley in 1952. Incredibly, Lesley Todd, the late all-rounder from Catford, managed this achievement twice in his career, so this actually becomes the 11th instance*. Jones is the first to this particular hundred since the number of County Championship fixtures played per year were reduced. The only bad news for Geraint is that he still has 97 more games to go in order to catch James Seymour, the Sussex-born right-hander, who heads Kent's all-time consecutive appearance list with 196 successive Championship matches. Jones’ current appearance run started with Kent’s Canterbury Week match against Hampshire on August 2, 2006. But, with a current schedule of only 16 four-day games per season, Jones’ record seems unlikely to be equalled, let alone beaten, by any cricketer of the modern generation. Geraint Jones commented on the milestone; "It is a real honour to have made this milestone. I am extremely proud to be playing for Kent, and more so as it is my Benefit Year." A resounding win at Grace Road last week has put Kent right back into the LV= County Championship division two promotion reckoning, making this week’s match against table-toppers Derbyshire a crucial encounter that could make or break the Club’s season. Rob Key’s men currently sit third in the table, 23 points behind this week’s visitors, but, perhaps, more importantly Kent are just four points behind second placed Yorkshire with two games to play. 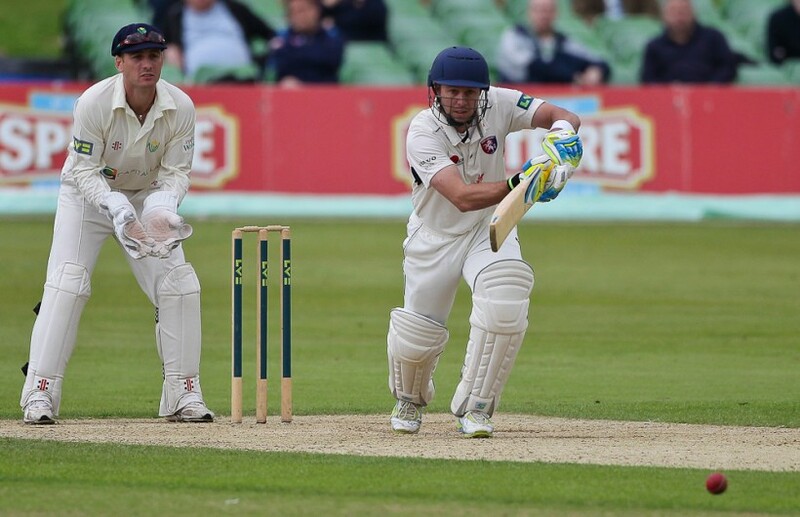 Kent finish off their campaign next week with a trip to Wales to take on Glamorgan. With the weather set fair for this week, it looks likely the next four days could define Kent’s season as they harbour hopes of a return to division one.